First of all, I have to say that this book just blow my mind. 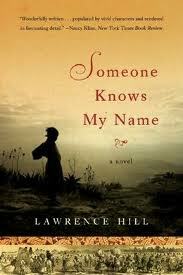 I haven’t read a lot of slavery inspired novel in my life but this one will forever be close to my heart. I really enjoyed reading it all the way through. Who is the author? Lawrence is a half black, canadian author of several books. The Book of Negroes is his third novel. It was published in Canada and the UK as The book of Negroes , and as Someone Knows My Name in the USA, Australia and New Zealand. It was published in french as Aminata. The different covers are displayed above. This book was acclaimed all over the world and got several prizes. It won the overall Commonwealth Writers’ Prize for Best Book, the Rogers Writers’ Trust Fiction Prize, the Ontario Library Association’s Evergreen Award and CBC Radio’s Canada Reads. The book was also a finalist for the Hurston/Wright LEGACY Award and long listed for both the Giller Prize and the IMPAC Award. In 2012, Hill received the Diamond Jubilee Medal from Queen Elizabeth II, the 2012 Medal of Distinction from Huron University College,the Freedom to Read Award from the Writers Union of Canada, the Award of Excellence from the Canadian Civil Liberties Association, and the Rev. John C. Holland Award of Merit from the Hamilton Black History Committee. So when i said this book was acclaimed all over the world, it is an understatement. The book got a tremendous success. It is his most successful book till date. But he also have another success Black Berry, Sweet Juice that i haven’t read yet. I will hopefully do so very soon. Last year during the Black history month which is, in February 2012, in Canada, something really brilliant happened. For the first time in canadian history and in recent memory, a Black History in Canada Education Guide was published for schools across the country. On the first page of the guide, one can read a note to the teachers that describe the guide as such:” This innovative Education Guide explores seminal events and personalities in Black Canadian history through engaging discussion and interactive activities.” This guide was created by Lawrence Hill himself . All thanks to the enormous success of The Book Of Negroes, he was able to bring to light an unknown part of the Canadian history. I consider myself someone who knows her history in general. By that, i mean i have read a lot on the slave trade . But when i read The Book of Negreos, i discovered new facts that i never knew about. For example, I never knew that black slaves lived in Canada. In fact, i have never heard about it or never read about. In this book, we learned about Aminata Diallo, a Sierra Leone young girl kidnapped from her village and sold to slavery by African people from another tribe. The book covers her journey from Africa back to Africa. She was taken from Africa to the South of the United States , then to the islands, to the north of the United states, Canada and finally Back to Africa. The Story is beautifully written. Fiction and reality are balanced wonderfully. As a west African, i connect with this book on so many levels. First of all, i could envision the colourful head wraps of Aminata back in the 18th century. I wonder if this detail is a fiction or reality. If one day, i meet Mr Hill, then i must ask him about it. I could clearly picture Aminata on my mind during the week i spent reading this book. Such a beautiful women with her pride and her intelligence. When i think of an African women, these are the traits that comes to my mind and it was all there in Aminata. I felt that i shared so much with Aminata. As a black canadian , i also connect with this book. I find fascinating the fact that even though the canadians had technically nothing to do with slavery at the time, they had the same attitude toward newly freed slaves than the english or americans. The war of independence was a total disaster for black people. It seems to me that history keeps repeating itself. Can you imagine that the same thing that happened during this war, happened to black combatants during the two world wars some four hundred years later. It also happens on countless others wars. It seems that they are promised things when they helped , but they never got it at the end . They ended up back into slavery or colonialism or jail. Another interesting fact is that the book of Negroes does exist. Some three thousands slaves truly signed this ledger and left New-York for Nova Scotia. This book is kept at the Kew archives in the UK. A copy can also be found in Nova Scotia, Canada. There are not many novel on this period of history, the one that exists are always told by slave traders. 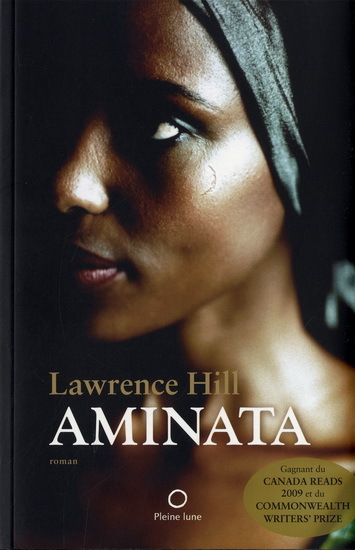 So i was truly happy to read the story of Aminata, told by Aminata herself. The most funny thing is that i read the book without knowing anything the author or the book. I am really happy i did. I really love the fact that there was a love story in the book. I am die hard romantic and i would love to imagine that some of the women on those horrific ships got to love someone at one point of their lives. Sadly, i don’t think it was the case. Thank God, Aminata was able to love and marry. Unfortunately, her husband died on a ship wreck. I would love to hear from you. What did you think of this novel? How did you feel reading all thoses horrible details about the crossing? Feel free to comment on this post and let’s discuss this further on Facebook. I saw somewhere on the internet that some anti-slavery group in Europe were marching against the title of the book. I personally did not feel offended in anyway. Negroes is what we were call at the time. What’s you take on this? I have not read it but it is high on my priority list since it will be airing as a miniseries on BET in February. Also, I’ve heard nothing but good things about it. Fortunately, Hill will be here doing an author event in January. I plan to have a front row seat.